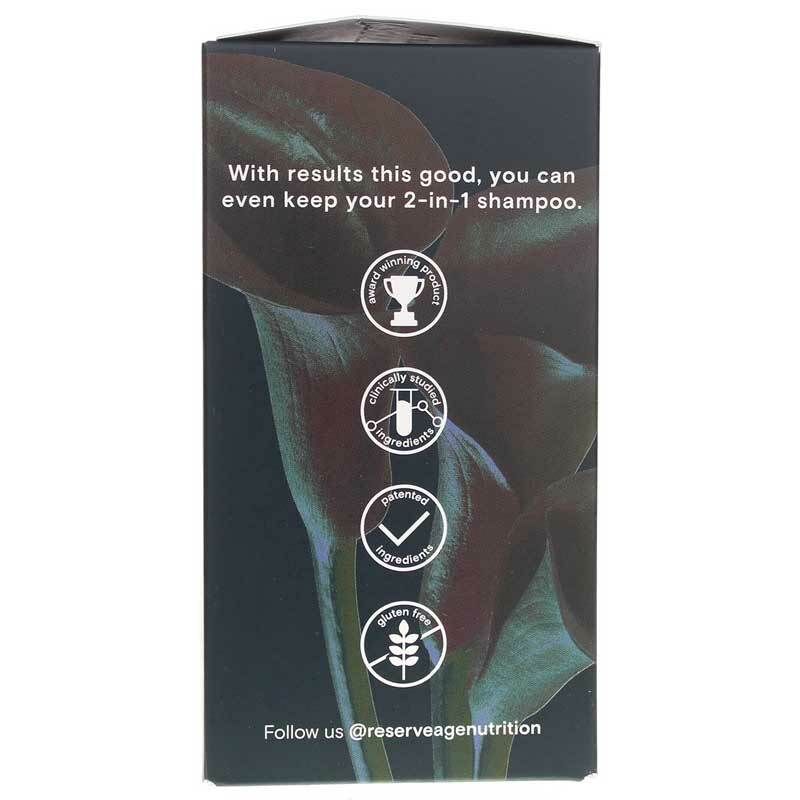 Keratin Hair Booster for Men from Reserveage Nutrition supports healthy, youthful-looking hair with a nourishing blend of science-backed ingredients. 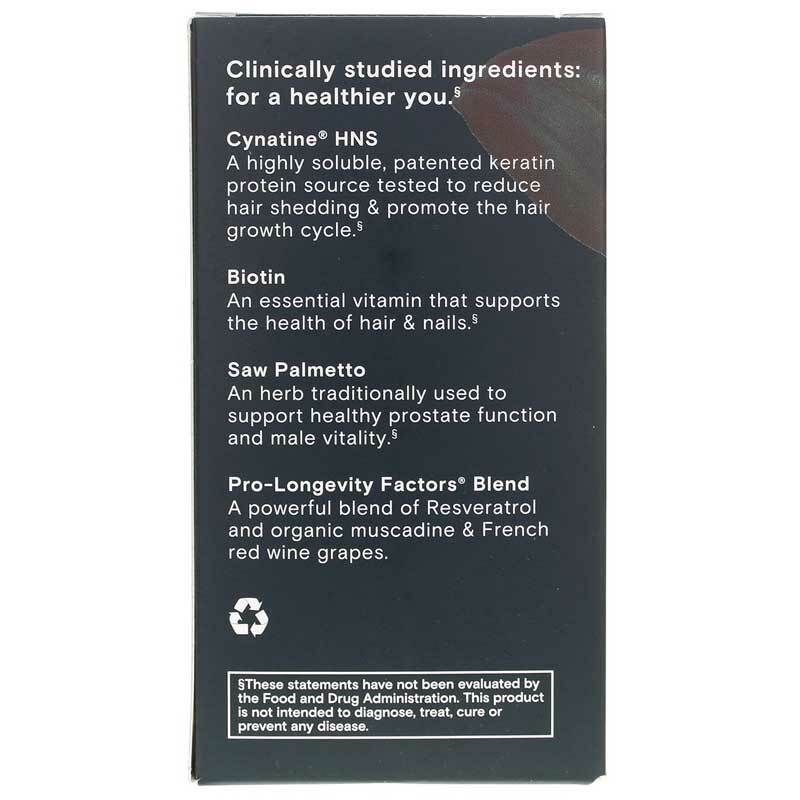 As well as a form of solubilized keratin, Cynatine, for easier absorption, this dietary supplement includes biotin, resveratrol, saw palmetto and beta sitosterol; all-natural, plant-derived substances that help support normal levels of DHT in your body. DHT, or dihydrotestosterone, is believed to play a role in male baldness. Your hair is made up of the protein keratin, which also plays an important role in the formation of your nails and skin. To use as a dietary supplement, adults can take two capsules a day with meals, or as recommended by a healthcare professional. For best results, you should take this supplement for a minimum of 90 days. 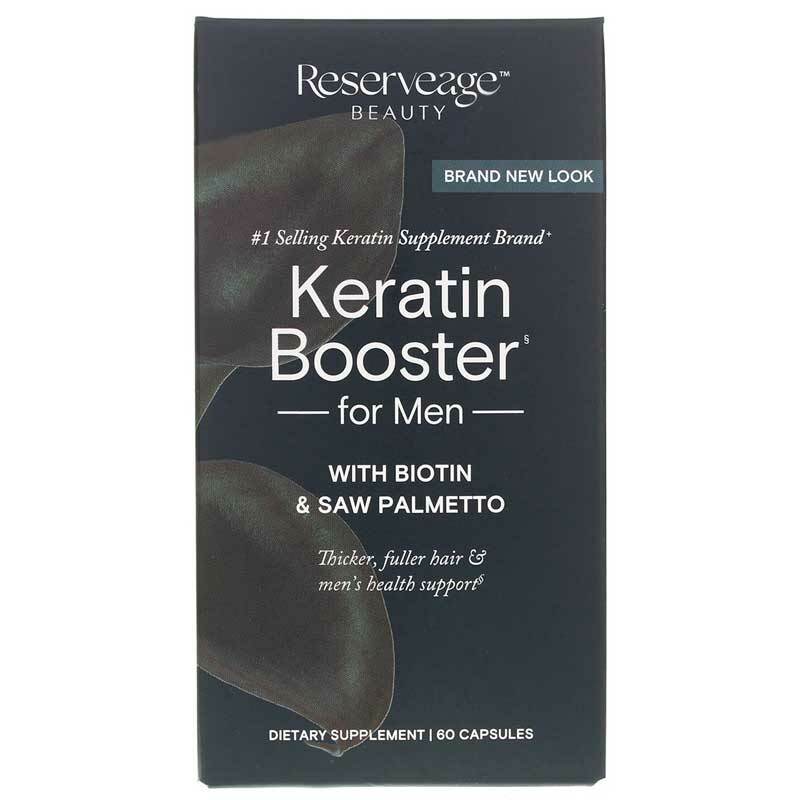 Keratin Booster for Men is not intended for women. Other Ingredients: vegetarian capsule (vegetable cellulose), rice brain, silica. 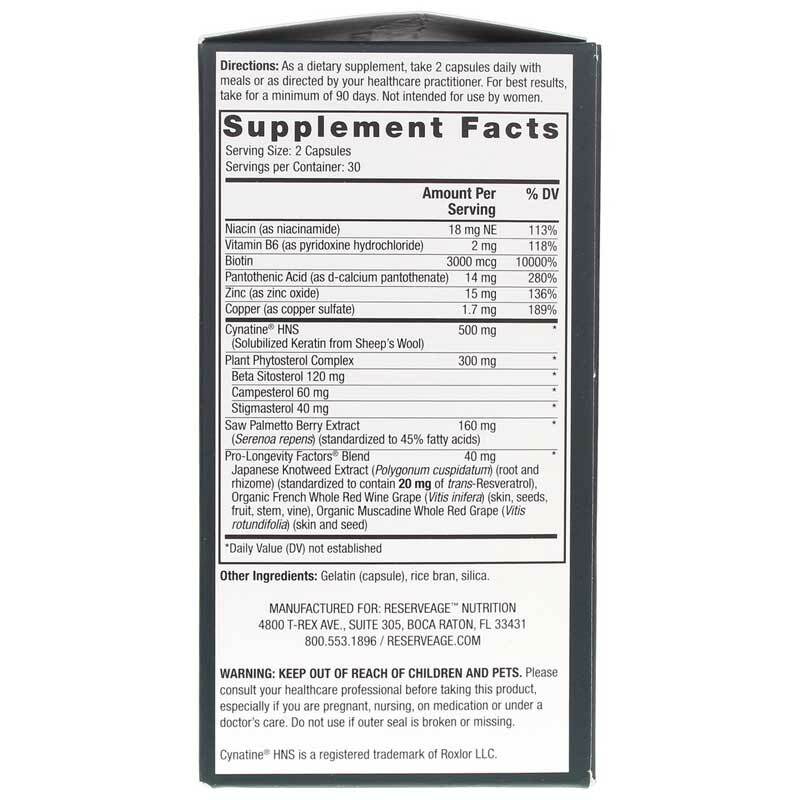 Adults: As a dietary supplement, take 2 capsules daily with meals or as recommended by a healthcare professional. For best results, take for a minimum of 90 days. Not intended for use by women. If you have an existing medical condition or taking medications, consult your healthcare professional before using this product. Keep out of the reach of children.